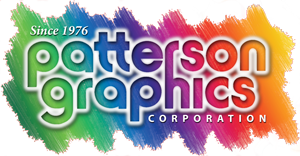 Patterson Graphics in Burbank, CA – Quality Digital and Offset Color Printing driven by Award Winning Design, making us the best choice as your Marketing Service Provider! We are . . .
. . . excited to be at the forefront of the digital revolution in printing, providing current marketing and manufacturing techniques that have been built solidly on our offset and even letterpress background. Since 1976, Patterson Graphics has been helping position our Burbank and other clients at the top of their fields. 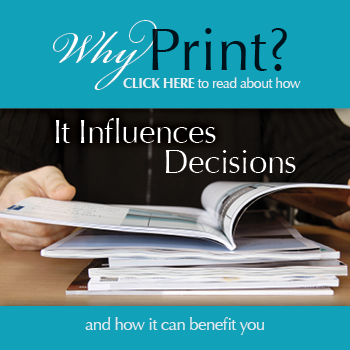 Whether it be a personalized information brochure to capture your recipient’s attention, a QR Code campaign from printed piece to web page, or a new coordinated marketing approach featuring all aspects of information presentation, we are here with the sole purpose of helping you grow your business. This website is a continuation of our desire to stay at the leading edge of technology while providing superior customer service. To place an order or get help with a new project, select the appropriate area in our Customer Center – or click on one of the four “frequently used” tabs for quick results. Find out more about us in the Company Info section. To request a custom Portal to streamline your online experience with Patterson Graphics, just click “Contact”, and ask us. We will be happy to add you to our growing list of clients with custom Portals, and show you how yours can help you! An easy-to-use pulldown menu and link to our contact form appear on each page. As well, feel free to consult the site map at any time if you're having trouble locating a particular item. If there's anything we can do to make our site more useful to you, please let us know. We enjoy showing off our modern, top quality color printing facilty - when you are in the Burbank area, please stop by for a tour of our plant. For directions and a map to our plant, please click "Company Info" and then "Locations & Hours"
From any page, just click our logo at the top of the page to return to our home page. ARE CREATIVE . . .
. . . and our extremely creative and highly experienced Award Winning design team can work with you to guide your project from beginning to completion. ARE GREEN . . .
. . . and we are very proud of and fully support our industry’s significant efforts to reduce our environmental footprint, making major strides in our collective goal to protect our environment.
. . . the most complete package with both offset presses for longer runs, and offset quality digital presses for more precise quantities.